Water Travel, Dubai. 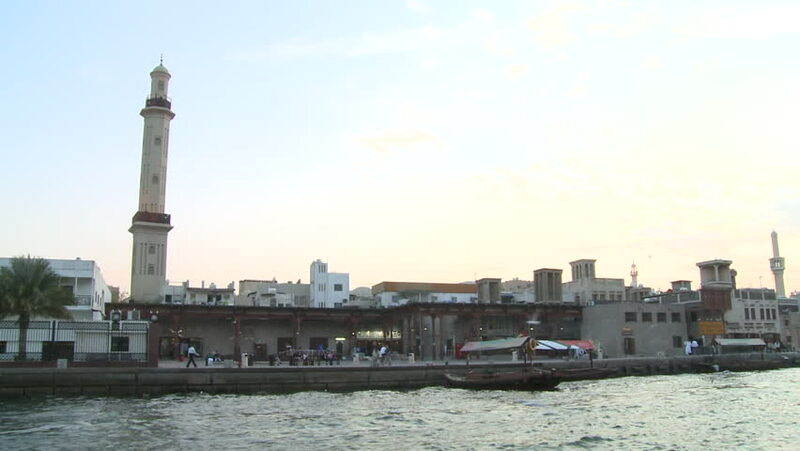 Shot taken from a boat of the quayside in Bur Dubai showing the buildings on the seaside and a couple of minarets. 4k00:25Fishing boats at sunrise swim near the lighthouse. hd00:30DUBAI, UNITED ARAB EMIRATES - JANUARY 18: Dubai's Old Town, seen from a boat on January 18, 2011. Wooden dhow boats on the Dubai River in the Soukh District of the old town. The old town is the historic part of Dubai. hd00:27DUBAI, UAE - December, 2015: Traditional boats in Dubai Creek.